Meg Zatorski, who had struggled for 16 years to see properly with 40D lenses plus a handheld magnifier, asked her local optometrist if it was possible to be equipped with something stronger. 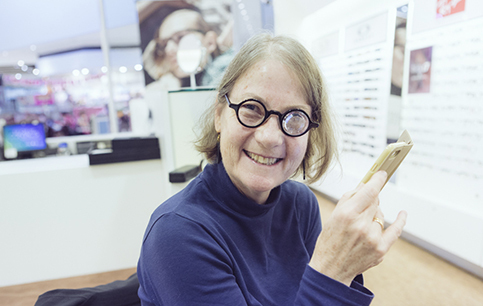 Essilor was ready to try and, drawing on the optics expertise of specialists at the Group’s Special Lens lab in eastern France, succeeded in creating a unique lens of +70D combining the required correction with x17.5 magnification. Inspired by its Group mission – improving lives by improving sight – Essilor has brought its 170 year history in lens-making to find solutions for every individual, no matter how complex his or her vision problems. Some 7 million people worldwide have extreme ametropia that cannot be corrected with ordinary lenses and 285 million are affected by visual impairment. Essilor’s special lens service is grouped into two offers – a pre-defined range of lenses from -40D to +30D and an on-demand service creating custom-made solutions. Both aim to help eyecare professionals better support the needs of individuals with out-of-the-ordinary problems who require special lenses to correct their vision. Essilor’s special lenses range received an excellence award at the 2017 ODMA* fair in Sydney, Australia in July. 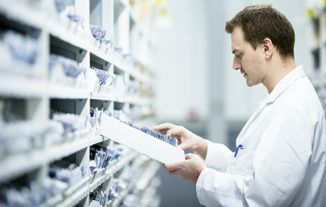 Managing the flow of over 1 million product references each day… Explore how Essilor’s supply chain is supporting the unique business needs of the Group’s different customers worldwide. 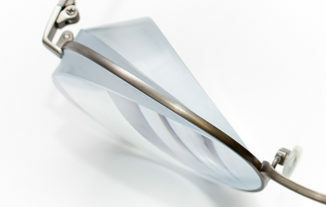 Another manufacturing record from Essilor’s Special Lens laboratory. Explore how a unique lens is helping someone with exceptional visual needs to see comfortably again.